Thank goodness we have Sky Watch Friday to celebrate all the beautiful skies that bloggers find from all parts of the globe. Sky Watch reminds me that this can either be a smelly mangrove swamp at low tide on a chilly morning or a nature’s beautiful paintbrush in action, all a matter of choice. After chasing pretty skies, altered art or mixed media is my favourite creative passion. Altered art can be considered recycling as we find old loved bits & pieces and give them a new life in a different form. 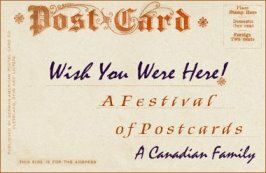 Later this month Evelyn in Montreal is hosting a Festival of Postcards with the theme of ‘signs’. She and her blogging buddies who collect vintage and interesting postcards are allowing us a peek at their treasured finds. Altered Artists, Mixed Media and Mail Art devotes are welcome to participate in our own little altered kind of way. I am working on something special to share on the 24th of July looking forward to seeing how other people use their postcards as a little canvas. Just the other day, my husband and I played cloud watch…, what we see in them, along the lines of the Rorschach inkblot test. I&#39;m really grateful that the sky feels so close when I sit on my porch! Have a great weekend! 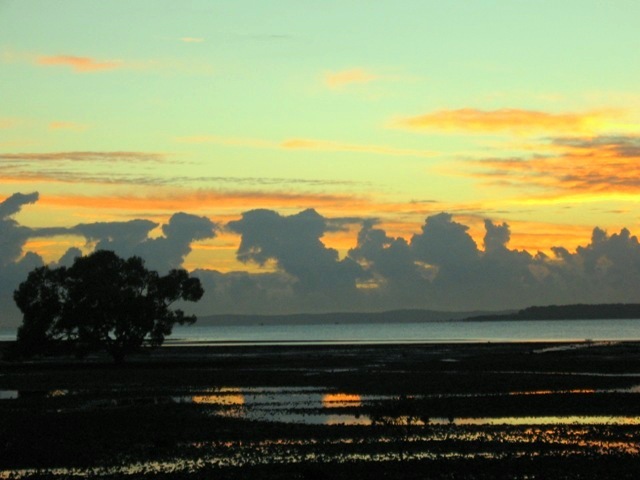 a happy thursday to you.<br />love the shape of the clouds across the back of the capture…beautiful. I totally agree. It makes me so sad when my views are devastated by &quot;development&quot;. God is so masterful. We are really destroying the view.<br /><br />Amazing color combination here! The colors in the sky are amazing and so inspiring, thank you for sharing…i need to be outside! Great colors and wonderful photo. I have not been by for awhile, I hope you are having a great summer. I agree: thank goodness for Sky Watch. ;-)<br /><br />And thank goodness that you keep posting such lovely photos. The colors in this photo are just amazing! What a magnificent sky! The quote is perfect!! What an unusal sky. Reminds me of people dancing.<br />I love it.<br /><br />Oh, and I agree with Lady Bird! Those are such interesting clouds, the way they spike up and then back down. Beautiful view! I see monsters in the distance :)<br /><br />Lovely capture. Love it! The clouds look line dancing ladies! Just beautiful! The different colour nuances come out just perfectly! This was really, really nice! These are incredible images. Such an unusual colour combination. We rarely get green and only once have I photographed it as a night sky. Yes; thank God for the beauty we come together to share. What a blessing blogging is to bring all this beauty round and round the world. <br /><br />Lovely, lovely photo. Oh it is a beautiful paintbrush.. to be sure… lovely. wonderful and artful sky you have captured! Beautiful skies !! !<br /><br />Love the shapes of the clouds…<br /><br />Very cool capture !! Hmm, I think I agree with you. It&#39;s not so much that our world is no longer beautiful, it&#39;s that people are just too busy to stop and notice the beauty. Great photo! What great shapes those clouds have made. Like others, I see monsters! 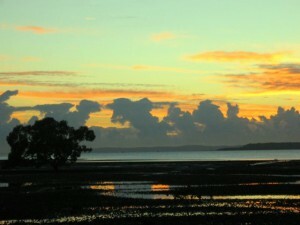 such a sunset! have a loveliest of days!!! Leave a Reply to meandering pearl Click here to cancel reply.